These sheaths are fed in electrical installations in the same way as a traditional ICTA 3422 sheath. No special tools are required to implement FLEXARAY+ sheaths, just cutting pliers and stripping pliers. 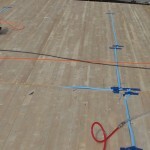 Applications in dry wall, concrete slab, visible installation, ceiling, etc. 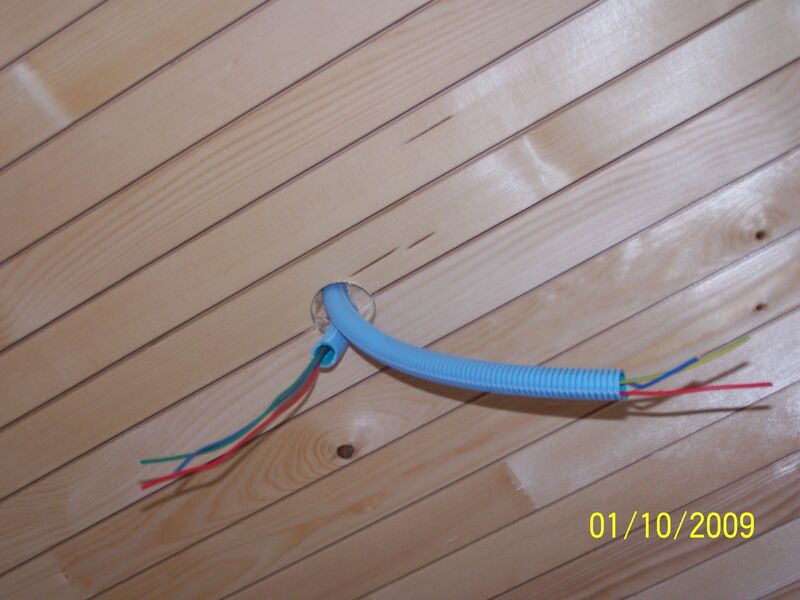 Pull the semiconductor wire inside the sheath just like an ordinary wire, i.e. 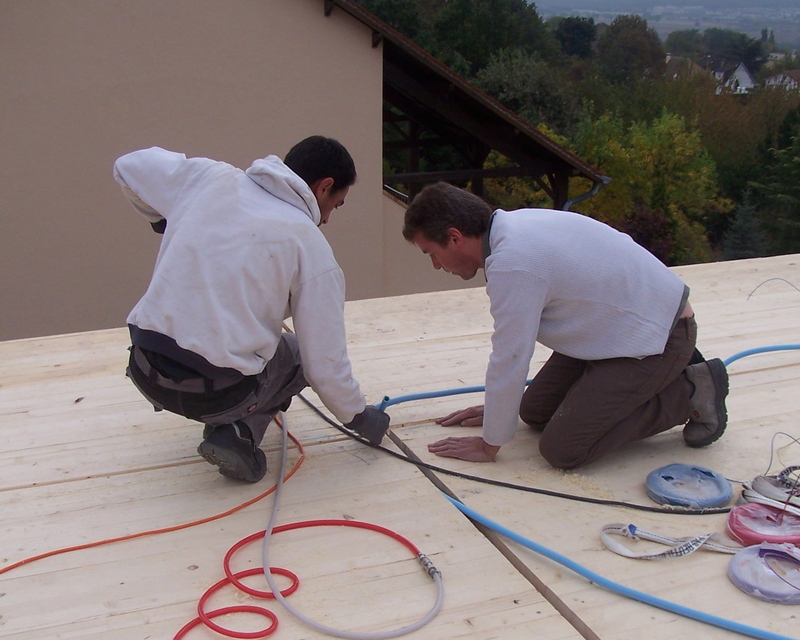 at the same time as the 1.5 mm² or 2.5 mm² wires in the installation. 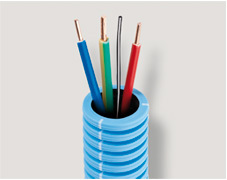 The semiconductor wire located at each sheath end must be connected to earth on the earth connection bar. Caution : this wire must not be stripped. One end of the semiconductor wire must always be connected to the g/y earth circuit. 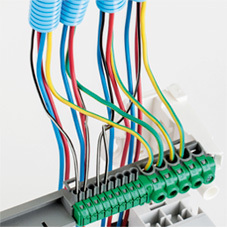 The semiconductor wire and the earth wire of the flushmounted boxes must be connected to an automatic connector. 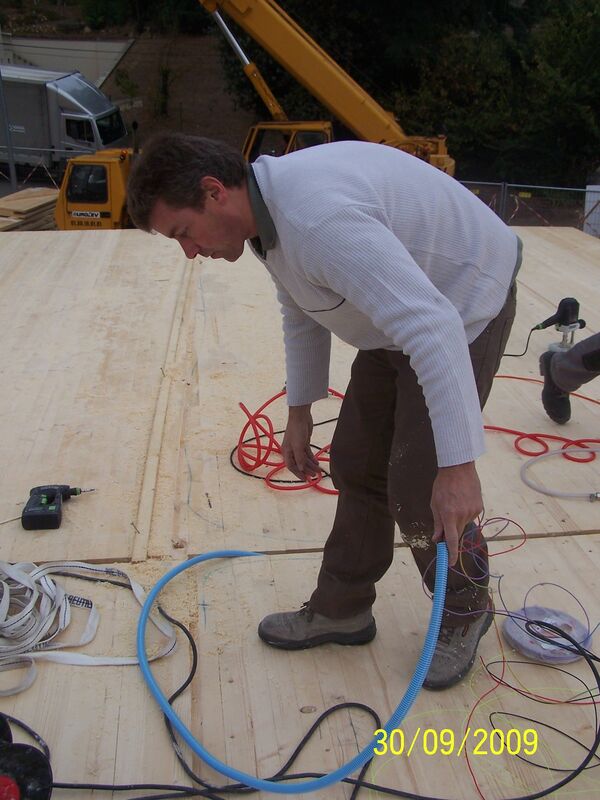 This connector is then connected to the installation earth network. 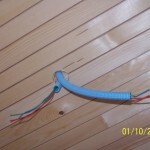 For prewired sheaths, implementation and connection are identical. Only step 1 is to be removed since the semiconductor wire is already in the sheath with the conductors. 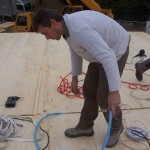 The earthing of he different elements must compile with the country’s applicable electrical installation regulations. The semiconductor wire must be connected to earth for the FLEXARAY+ system to operate. Do not use this semiconductor wire as an active conductor (phase/neutral) or as a protection conductor (earth). Do not add lubricant inside the sheath.